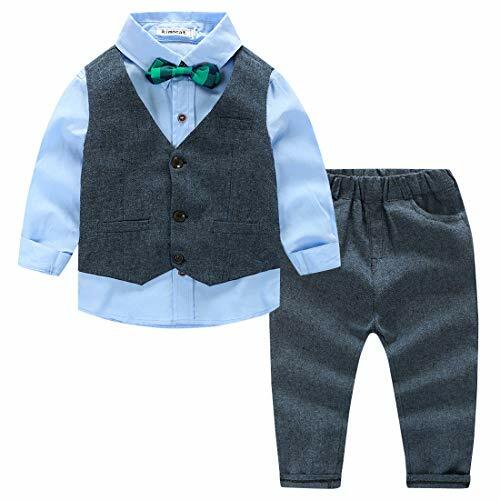 Gentleman Design, bowtie, long sleeve shirt, solid color waistcoat, causal style trousers outfit. Fit For All Occasion. 1.There might be 1-3 cm(0.4-1.2 inch) deviation due to manual measurement.